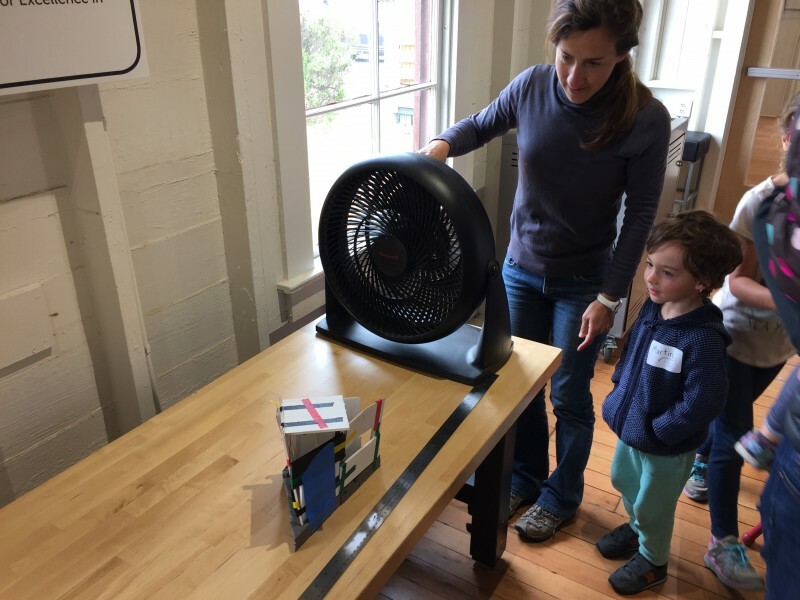 SAN FRANCISCO — A few weeks ago, at the Bay Area Discovery Museum (BADM) near San Francisco, five-year-old Jack Stabenow climbed a step stool to peer into a machine that cuts cardboard with a high-powered laser. The red beam precisely followed a squiggly building design that Jack had just finger-drawn on a tablet computer. Jack’s goal was to make a building that could stand up to the wind of a nearby table fan. The kids were learning the cycle of design, prototype, test and redesign that’s a hallmark of engineering. The museum staffers were testing a prototype, too. Last month, the museum launched America’s first early childhood “fab lab” — for fabrication laboratory — a suite of digitally controlled fabrication machinery, such as 3D printers, laser cutters and milling machines. The museum occupies several squat yellow-brick buildings, the former barracks of historic Fort Baker at the base of the Golden Gate Bridge in the Marin Headlands. It offers a mix of programming for the general public and for school classes from pre-K to third grade, which means that the staff is familiar with skepticism about technology in early childhood education. Indeed, they say they share it. Related: Can a wall-climbing robot teach your kid to code? Outside, kids make wild, colorful art with paint whipped but not blended by salad spinners; don safety goggles and practice hammering nails; and build ramshackle forts with soft, oversized blue blocks. That was also the primary question in January 2015, when Jan Morrison, president and CEO of TIES (Teaching Institute for Excellence in STEM), invited BADM staff along with other early childhood experts, software developers and representatives from MIT’s Fab Foundation to meet in Washington, D.C.
Morrison asked the group if fab labs could reconcile the push for early technology literacy with the desire to let young children tinker and explore with hands-on learning. “In talking to both worlds, it seemed that there was no interface,” said Morrison. After two days of discussion, the BADM contingent was convinced that an early childhood fab lab was both worthwhile and feasible, and they volunteered to pilot one and to share what they learned via the Fab Foundation. 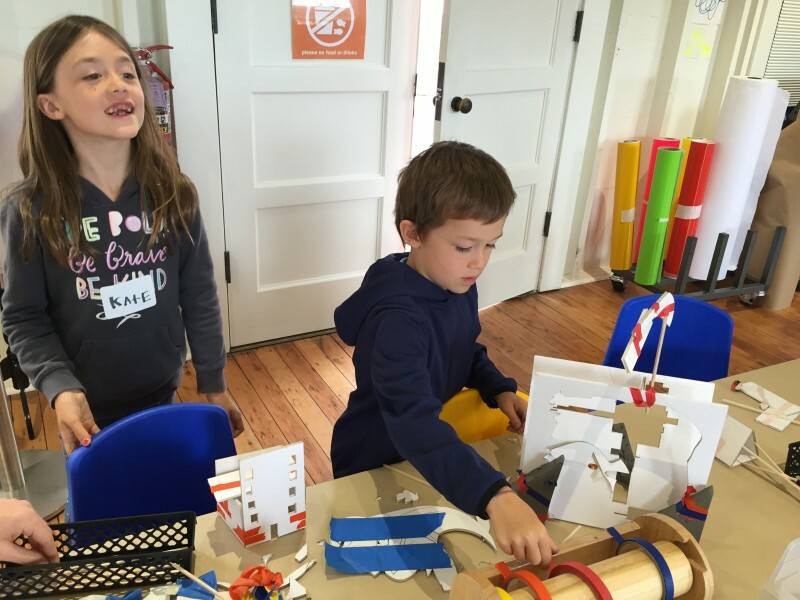 Fab labs also foster a readiness to repeatedly test and improve one’s ideas, an approach they’ve taken to heart at the Discovery Museum as they pilot fab lab programming. 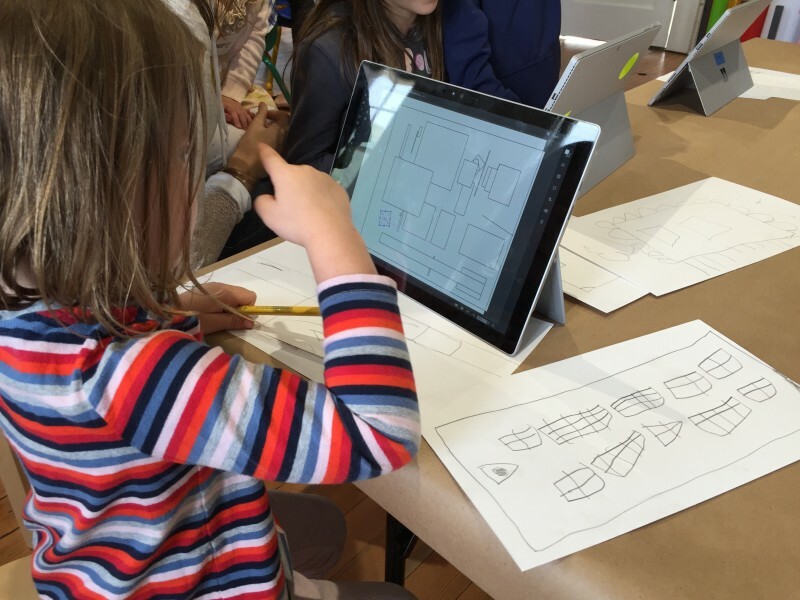 The museum’s Fab Lab activities fit on a spectrum from “light to deep touch,” explained Flynn. On the light touch end of the scale, for instance, was a car-building activity (using variously shaped wooden wheels premade at the laser cutter) during a Google-sponsored field trip in early May, when about 1,200 kids and 400 parents and teachers from disadvantaged schools in the Bay Area spent a day exploring the museum. The kids tested their cars on ramps and measured the distances rolled. They could watch the laser cutter making batches of wheels, but they weren’t designing the wheels themselves. Related: Wire those sensors! Save that turtle! Deeper touch Fab Lab activities are planned for the museum’s summer camp. 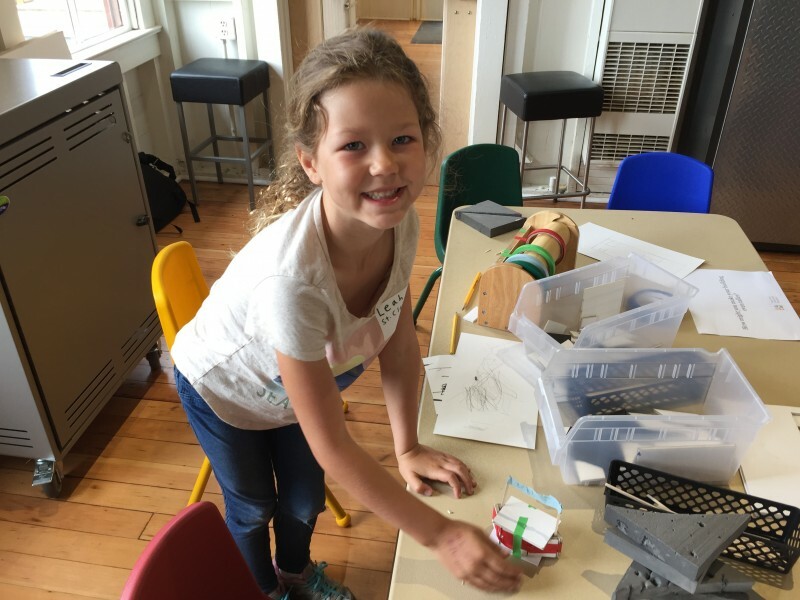 Over the course of a week, camp-goers will roam the museum searching for ways to improve the exhibits, operations or architecture, and then design solutions they can prototype in the Fab Lab. Public workshops like the wind-resistant building challenge fall somewhere in the middle of the touch depth spectrum. In another planned Fab Lab workshop, kids will make balsa wood gliders by choosing different shapes for wings and fuselages. Typically, these one-time, 90-minute workshop sessions max out at 15 kids who are preregistered online. The day of Jack Stabenow’s visit was an exception — a special Fab Lab sneak-peek for museum member families. The workshop was shortened to an hour and there were nearly twice the usual number of kids waiting at the laser cutter and then waiting again to test their buildings. Ironically, while fab labs are prized for speeding up the prototyping process, the museum staffers have discovered there’s a lot of downtime, which isn’t easy for little kids. “There’s this lag time that doesn’t happen when they’re not using technology,” said Alexis Weiner, the museum’s art and digital design assistant manager, who created the “building in the wind” workshop. As a result, the Fab Lab keeps plenty of precut parts and materials on the assembly table. These can be used either by kids who have no patience for the computer-aided design or by those, like Jack, who want to strengthen their creations without rejoining the line at the laser cutter. Jack’s first squiggly design prompted so many laser cuts that it shredded his cardboard, except for a jagged sort of arch. He stuck ends of the arch into foam foundations and dubbed it the “dragon building.” When that structure failed the wind test, Jack propped it up with stick buttresses. That worked; Jack beamed. Another challenge has been finding computer-aided design software suitable for kindergartners. A touch-screen interface is a must, for instance. As a stopgap, the Discovery Museum Fab Lab uses a touch-screen version of Adobe Illustrator, which has both free-drawing and shape tools. 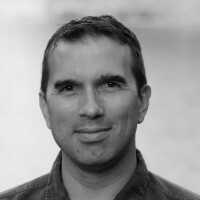 Eisenmann has talked with developers at Adobe, headquartered in nearby San Jose, about creating a more kid-friendly version of Illustrator. Meanwhile, the Discovery Museum has partnered with a Boston-based educational media company, FableVision, to adjust their design software Maker Studio, which is currently aimed at grades three to eight. The go-to fabrication machine for Maker Studio is a digital cutter of paper and cardstock, called a Silhouette printer, which the Discovery Museum plans to bring into its Fab Lab rotation. What paper lacks in glamour it makes up for in being “familiar, friendly, accessible and really fast,” said Peggy Healy Stearns, the software designer who created Maker Studio. The price for the museum’s two 3D printers seems particularly steep, because they are way too slow for little kids. Printing anything sizeable takes hours. So, for now, the printers have been relegated to showpieces. They are still running almost constantly, layering the plastic creations of in-house designer Tristan Schoening, including oversized nuts and bolts and a prosthetic hand with fully articulated fingers. “A big part of my job is showing off the equipment’s capabilities, to get kids excited, but also show parents and teachers that these things are incredibly useful and not just for trinkets,” said Schoening. Meanwhile, the museum’s school programs must support the science standards taught by busy elementary school teachers. The Fab Lab’s shadow-puppet challenge, for example, uses laser-cut acrylics to reinforce classroom lessons about transparent, translucent and opaque. For now, the school Fab Lab sessions will be one-time class visits to the museum, but they may soon include more intensive, three-day projects like those used by the museum’s other STEM programs, in which a day at the museum is sandwiched between two visits to a school by museum staff. In the hope of spawning more hands-on tech in early education, the museum will soon offer Fab Lab-focused professional development to encourage teachers to get more comfortable with the software and tools. They’ll also share their lesson plans online. To evaluate what kids are actually learning as they design and create, the museum staff will open up the Fab Lab to education researchers from UC Berkeley, Stanford University and Mills College in Oakland, with whom they regularly partner as part of the museum’s Center for Childhood Creativity. An internal study is already underway to see how Fab Lab technology changes parental engagement with kids compared to low-tech programs. 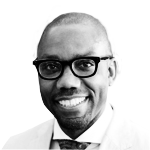 The workshops and school programs will also be evaluated by the nonprofit education researcher WestEd. Within a year, the Fab Lab facilitators hope to have collected and analyzed enough data via surveys, observations and interviews to guide Fab Lab improvements and start sharing lessons learned. Some places aren’t waiting on the research, however. Earlier this year, the Hardesty Center for Fab Lab in Tulsa announced plans to pilot an early childhood program with 100 students from kindergarten through fourth grade. And the Children’s Museum of Cleveland will put fab lab capabilities into a mobile technology lab that will hit city streets this fall. The Discovery Museum plans to launch its own mobile lab next year, which will bring its hands-on engineering activities to less-advantaged communities in the Bay Area. In the meantime, staffers will start up the Fab Lab’s school programs this fall.